Brooke and her husband, began practicing Pilates as a gentle, safe way for Aaron to rebuild his strength and vital energy after completing cancer treatment for Lymphoma. Together they fell in love with Pilates. Brooke was impressed with the rehabilitative effects of Pilates both for her husband surviving cancer, and for herself after shoulder surgery. 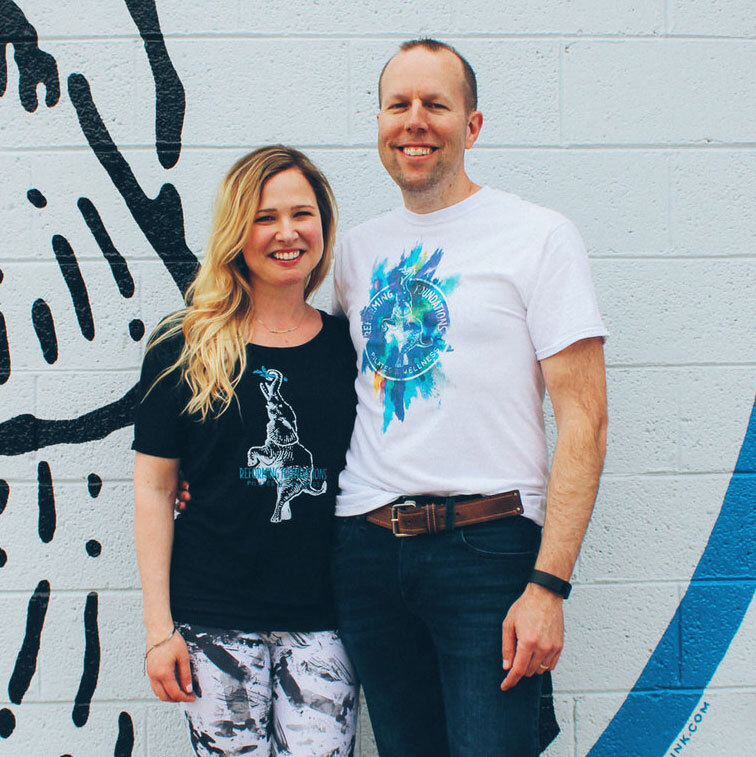 A combination of Pilates and lifestyle changes helped Aaron and Brooke regain amazing health and reach their wellness goals. After personally experiencing the many benefits of Pilates, she felt compelled to help others and opened Reforming Foundations in 2014. Our group classes utilize all of the pilates equipment and focus on the quality of movement. The class themes include Balance, Mobility, Endurance, and Power. Within each class, you’ll refine your Pilates practice and provide your body the challenge it craves. Because our primary focus is giving our clients a safe workout focused on alignment and movement techniques, each class has a max capacity of 6 people. Keeping classes small allows our instructors to focus and care for each body participating in the class. Detailed class descriptions can be found under Classes. Our Reforming Foundations community represents a variety of wonderful humans who have helped create an inclusive and supportive culture. We welcome all persons interested in learning quality movement. All of our clients share the same goal, each creating their own journey to health & wellness. Our client base ranges from the age of 9 to 94, from professional athletes to injury rehabilitation! In addition to Pilates, we also offer health coaching and an infrared sauna. Your road to health & wellness encompasses far beyond movement, and we are here to support you throughout your journey.